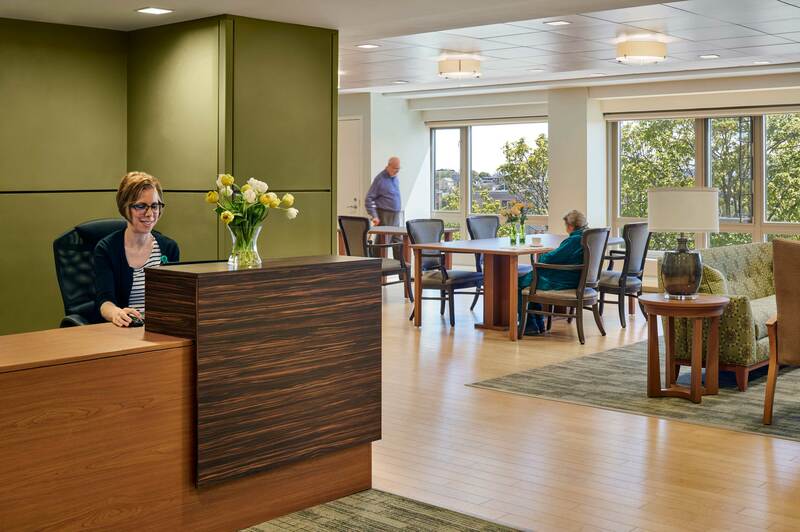 This major renovation of a 30-year-old skilled nursing facility in Chelsea, MA revitalizes the environment for residents receiving long-term care, short-term rehabilitation, and specialized memory care. 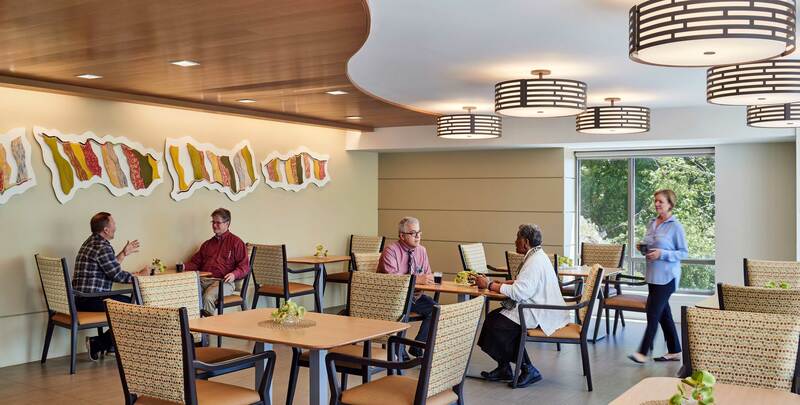 The challenge was to transform the existing traditional nursing home to incorporate the most essential and successful components of its sister community and first urban Greenhouse® community, the Leonard Florence Center for Living. 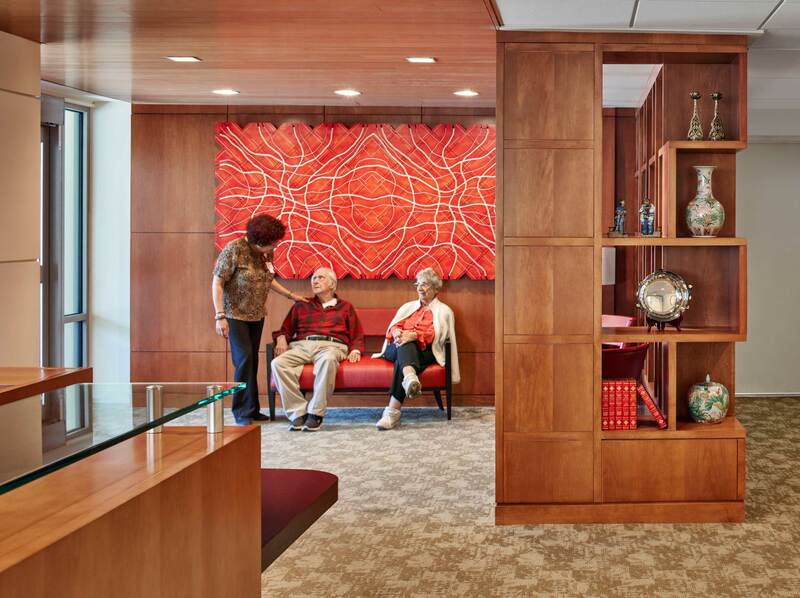 Through an occupied, phased renovation, the existing building was renovated and modernized. 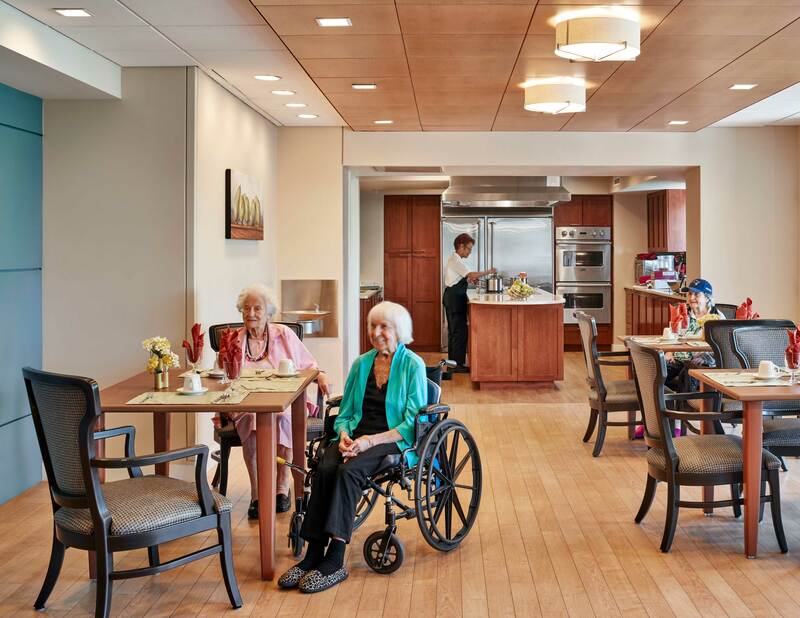 In each nursing household of 20 residents, new light-filled living and dining rooms open to a residential-scale kitchen in which all meals are prepared. 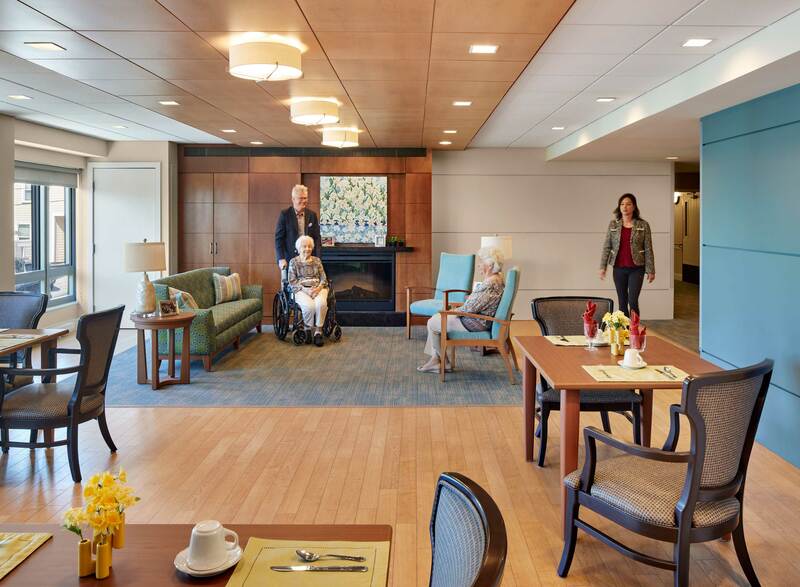 Residential common amenities, including a new café and chapel, offer residents and families opportunities for social and spiritual gathering. 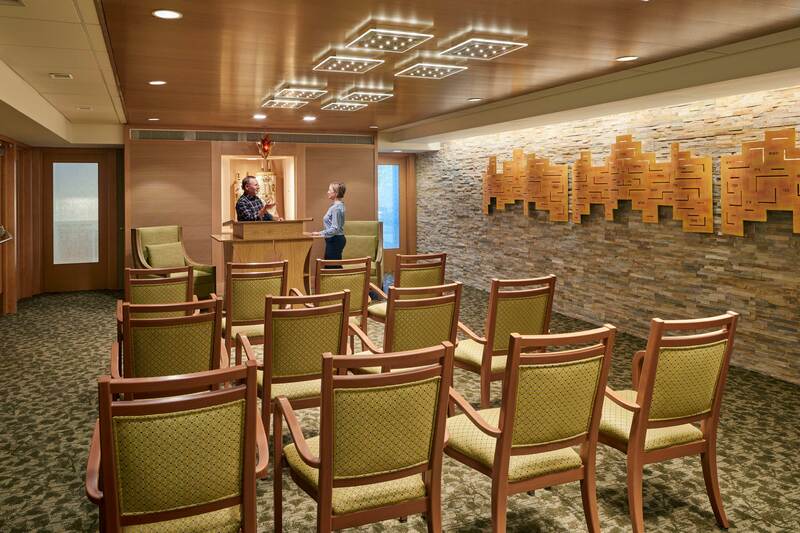 A new physical and occupational therapy suite provide up to date rehabilitative services. 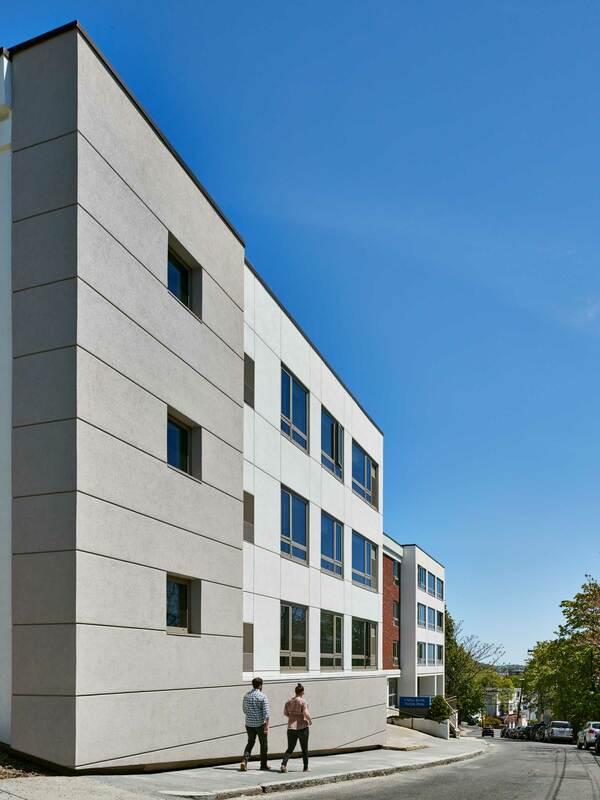 The building exterior was redesigned and refaced with fenestration reflecting the new living, dining and activity spaces The renovation resulted in significant operational cost savings with high performance replacement windows and the conversion of the existing all-electric hot water and HVAC equipment to new energy-efficient gas powered systems.